If you’ve been in the world of social media marketing within the past five years, there’s no doubt you’ve noticed that most platforms have been shifting toward a pay-to-play model. Whether it’s Facebook’s shrinking organic engagement or Instagram switching away from a chronological feed, the days of scaling organic social media engagement for free are going away. Aside from your engagement numbers going down, another area that has been impacted is social media budgets. In Q1 of 2017, social media ad spend increased 60% YOY. 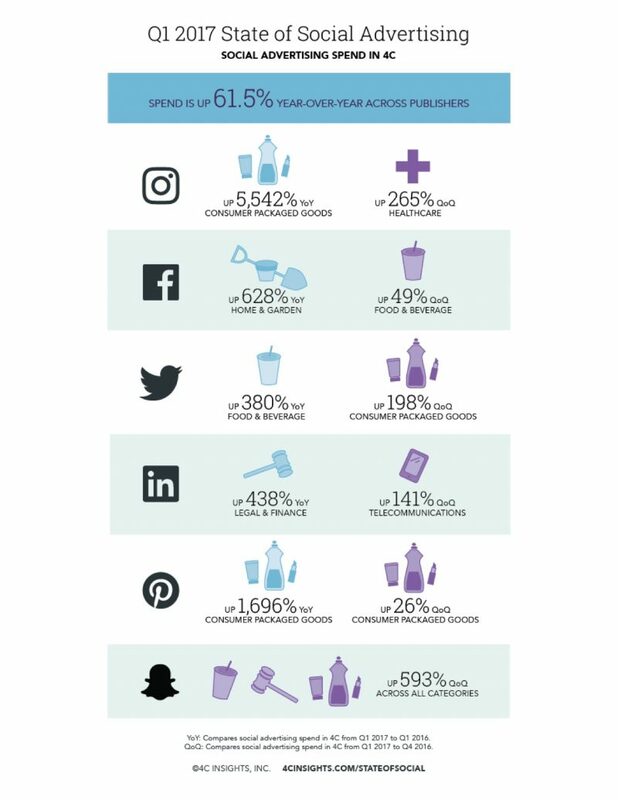 Whether it’s due to the decreased organic visibility or the general growth in social media marketing, it’s clear that brands are getting more serious with how they budget for social media. 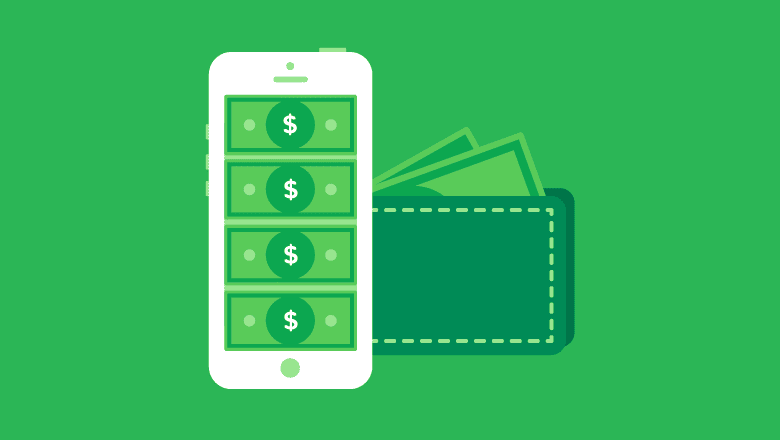 How much should I spend on social media? How should I spend my social media budget? The first question is nearly impossible for us to answer, since it varies so much depending on your business. You’ll have to work as an organization to determine your social media budget. In this article, we’re going to focus on answering the second question. Whether you have a $1,000 or $100,000 social media budget, if you don’t spend it wisely, you’ll end up with empty pockets and nothing to show for it. Why is your brand on social media? What do you hope to accomplish? Those might sound like super basic questions, but the reality is a lot of brands hop on social media just because they think they’re supposed to. There’s no larger objective or intent behind it. How can you optimize your social media budget if you don’t even know what you’re optimizing towards? So the very first thing you need to do is get your priorities in order. As a brand, decide what your social media goals are, and the KPIs you’ll use to measure success. Without goals and objectives, you risk falling into the trap of spending time and money on social media with no real purpose behind any of it. It’s like when you spend an entire day keeping yourself “busy” but at the end of the day you think back and realize you didn’t really do anything. Clearly define why you’re on social media. Do you want to increase brand loyalty? Improve customer retention? Make more sales? Or maybe it’s a combination of things. Whatever you decide on, optimize your social media budget to help you achieve it. For instance, The San Diego Tourism Authority uses Instagram to entice tourists to visit the beautiful city of San Diego. So they allocate some of their social media budget to influencer marketing in order to create original content that showcases what makes the city a great travel destination. Going viral is a dream for brands. The exposure and media coverage that comes along with it can catapult your brand to new levels. While going viral can definitely give your brand a nice boost in followers and engagement, it’s often short lived. The part where brands tend to fall short is following up once their 15 minutes of fame ends. If you’re strategic, you can maximize your social media budget by capitalizing on viral moments. Let’s take a look at a brand that turned social media viral success into sustained growth. The Squatty Potty. Back in 2015, the product known as “the stool for better stools” made an oddly entertaining video that went viral. You can watch it below at your own risk. In addition to generating millions of views, the video also resulted in a 600% increase in online sales and a 400% boost in retail sales. That initial viral video was released in 2015, and you can see how it’s popularity spiked at the time, and has dropped since. That’s normal for any type of viral campaign. But notice how it’s still fairly consistent with occasional spikes every now and then when they release a new campaign. Ok, so you’re probably wondering what this has to do with your social media budget. We’ve seen a ton of products achieve success after going viral on social media. But most of them fail within the next 6-12 months. The difference with Squatty Potty is they continued to allocate money toward its social media budget to keep feeding the success of the initial video. They’ve made subsequent videos after that one hit, and even run social media ads occasionally. The moral of the story is when you go viral, don’t just sit back and coast. That’s when it’s time to really put your budget to use and if possible, increase it so you don’t miss out on an opportunity. One of the easiest ways to stretch your social media budget is to make sure you’re getting as much from your content as possible. For instance, let’s say you publish content on YouTube once a week, and Facebook and Instagram 2-3 times a day. If you were to publish completely original videos and images for each post, you’d be looking at 20+ pieces of content that you’d need to create. Whether you’re outsourcing content creation or doing it in house, those costs add up. Instead, if you were to create 2-3 pieces of “pillar content,” you could break them down and repurpose them into multiple pieces of content to use on Facebook, YouTube and Instagram. One brand that does this a lot is Marvel. Every time Marvel releases a new movie, they start flooding social media with content. But the thing is, a lot of it is repurposed. They often use clips from trailers, interviews, archived comic book images and other content that already exists. Then it’s as simple as editing and adjusting it for the proper social media channels. For instance, If you browse Marvel’s Instagram posts promoting the Black Panther movie, you’ll probably recognize a lot of the short video clips they publish are actually pieces of various trailers that have been released for movie. Creating social media content can cost thousands of dollars in some cases. Why not save some of your social media budget by getting creative with the content you already have? One of the biggest mistakes you can make as a social media marketer is to make assumptions. The only way to know whether or not something works is to test it. Otherwise you could be wasting your social media budget without even realizing it. When you stick to doing things one way without ever trying alternatives, you never know what the upside could’ve been. Even worse, you don’t have anything to compare. That’s why it’s crucial that you test everything. Test different headlines in tweets. Vary up the hashtags you use on Instagram posts. Experiment with Facebook and Instagram live. Or in HubSpot’s case, test completely new approaches to the content you share on social media. In 2017, HubSpot ran a series of experiments with the aim of better serving their audience on social. Rather than sticking to their traditional approach of using social primarily for lead generation, the software company began creating more content around the topics their audience was most passionate about. The experiment led them to create videos like this one about how bullet coffee can make you more productive at work. Or this one about Bitcoin. Why in the world would a company that sells marketing software make a video about strong coffee or Bitcoin? Well, it’s because HubSpot understands its target customer’s interests—in this case productivity and new technology. By creating and sharing this type of content, HubSpot was able to double its social media engagement numbers because it’s the type of content their audience was craving. Here’s a look at what their numbers looked like before implementing this new strategy. And here’s what it looked like after. Since increasing audience engagement was one of the major goals of the experiment, it’s safe to say that shifting the way they spent their social media budget from strictly lead generation to audience growth and retention paid off. The takeaway here is you should always be willing to test and experiment. It could be as simple as running an A/B test on your landing pages to see if you can improve conversions. Or take a page from HubSpot and make changes to your overall strategy. Social media analytics will allow you to track how much engagement your campaigns receive, audience growth, impressions and other crucial metrics that give you hard numbers on your performance. Otherwise you’re just playing a guessing game. And when you’re in charge of spending a social media budget, guessing isn’t going to cut it. 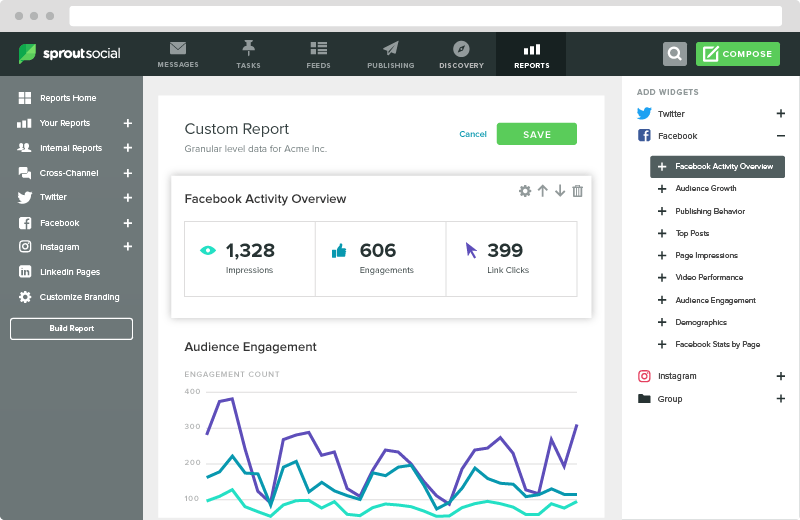 You can use Sprout’s analytics to get a wealth of data on campaign performance across all your social channels. Whether you’re an in-house social media marketer or an agency working with clients, you need to be able to justify your social media budget by showcasing the value you’re generating. Our reports make it simple to show stakeholders how your efforts are paying off. We can’t stress enough how important it is to track your social media marketing activity. Since proving the value and ROI of social media has been a constant (and frustrating) battle for marketers, having data that can help quantify the value of your Instagram and Facebook posts is crucial. But you’re asking the wrong question. Instead, you should ask “how can I get the most out of my social media budget?” Just like we saw Squatty Potty going all in after tasting viral success, or HubSpot’s social media strategy experiment, it’s not about how much you have to spend, it’s about the way you spend it.